Hashtags can help Instagram accounts get more likes, gain more traction, and connect with other like-minded people. No matter what size your account is, using hashtags offers many great benefits as long as you pick the right ones. If you are new to Instagram or still getting a hang of it and are unsure how to choose the best travel hashtags, no worries! With these few tips, you can become a pro travel hashtagger in no time. 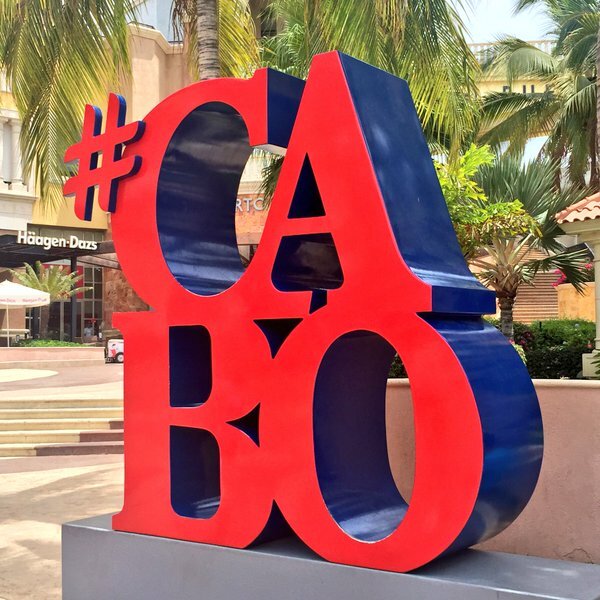 Even Cabo has it’s own hashtag! I joined Instagram very late in the game and when I started out, like many other people, I was completely lost. I loved sharing my travel pictures with my friends, but I had no idea what impact hashtags could have on growing an account so most of the time I wound up just throwing in a few hashtags in my captions describing the surroundings. I used a lot of random hashtags like #summer #dog #tbt #sundays #love #beach #happy or whatever else popped into my mind at the moment. Most people on Instagram resort to this which is why millions of photos are tagged under these hashtags, but it’s probably one of the worst strategies for growth. Because so many people post under these hashtags, your photo will get lost in the hashtag feed within seconds and you will be lucky to get a few likes out of it. Also, these hashtags don’t really have anything to do with travel so you wouldn’t be targeting the right audience anyways. 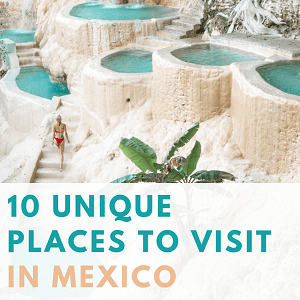 When I started traveling more and wanted to learn how to grow my account, I searched through many articles online hoping to find good travel hashtags. Most of the articles I found would say to use hashtags like #travel #travelgram #instatravel so I tried that for a while. But here’s the problem: hashtag #travel has 137 million pictures tagged under it, #travelgram has 29 million photos, and #instatravel has 27 million. How in the world is your photo supposed to stand out between millions of others? Although these hashtags are more relevant to travel than let’s say #sun, they are still too large for your photo to get any traction so they won’t help too much. So if all these hashtags are too big or are not relevant to travel, what are the right hashtags? The first step is to understand what niche your travel account falls under. Although travel seems like a pretty narrow category, the key is to find hashtags that are as specific as possible so other like-minded people will find you. 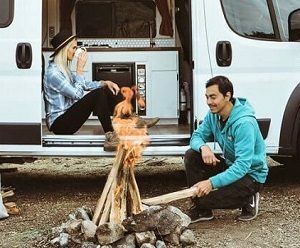 For example, a female urban traveler who mostly travels to major cities wouldn’t really want to use #mountainlife or #wildernessbabes, but a female that likes rock climbing probably would. Exercise: I want you to take a few minutes to think about a few things that describe your travel style and write them down. This will help you determine which hashtags are the best for you. Instagram is built to help you find relevant hashtags. By going to the search bar and typing hashtag #surf we see some other choices come up beside #surf such as #surfphotography, #surflife, or #surfersparadise. 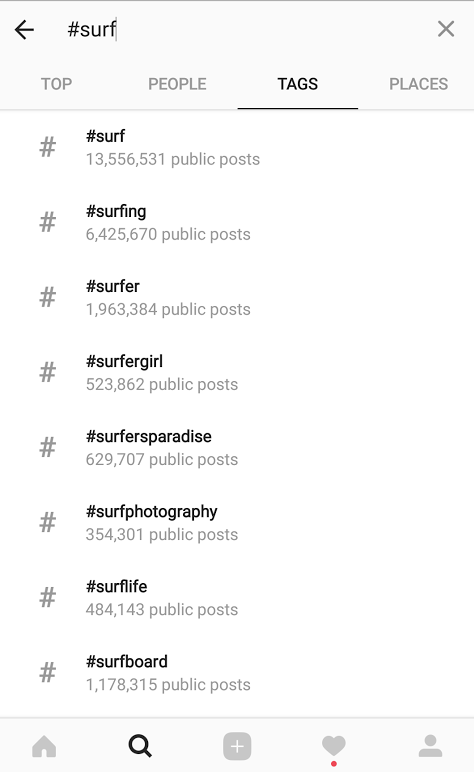 These hashtags are still popular, but they are not as big as #surf which has 13 million posts tagged under it so you have a better chance to get noticed and your picture will stick around for longer before getting lost in the feed. Once you find a relevant hashtag, by clicking on that hashtag Instagram will suggest other relevant hashtags for you to check out. Example by searching #girlslovetravel Instagram will suggest similar hashtags like #girlswhotravel #wearetravelgirls #dametraveler which are all often used by female travel bloggers. Check out what your competition is using. Once you find other successful accounts in your niche, see what hashtags they are using. Sometimes people hide hashtags in the comment section so make sure to go back to the oldest comments and find out if they are using any hashtags and what they are. Most brands, travel companies, and feature accounts have their own hashtags that are trending and can drive traffic to your account. 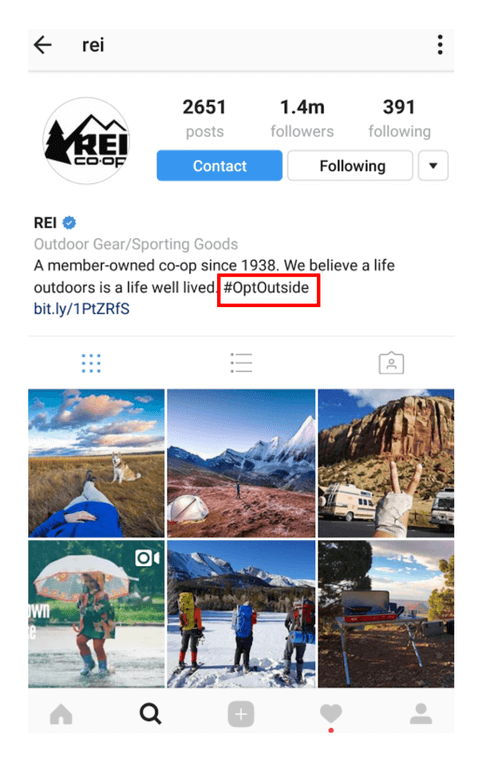 For example, outdoors gear company REI has two great hashtags #rei1440project and #optoutside that are highly used by outdoors travelers. What are some companies that you like and would love to be noticed by? Check out their Instagram accounts and see if they have a personalized hashtag listed in the bio section. One of the most important aspects of choosing the best hashtags to use on Instagram is finding the right sized ones. As we mentioned earlier, hashtag #travel has 137 million photos posted under it so you probably don’t want to use it because you will have too much competition. On the other hand hashtag #travelismyjam has only 60 photos posted under it so you don’t want to use it either because nobody will see your photos. So when you are searching for good hashtags to use, not only should you try to find hashtags that are relevant to your style, but to your account size as well. When you search for a hashtag, most will have the “Top 9” pictures in that hashtag featured at the top. Your ultimate goal should be to get into these Top 9’s by targeting the right sized hashtags. 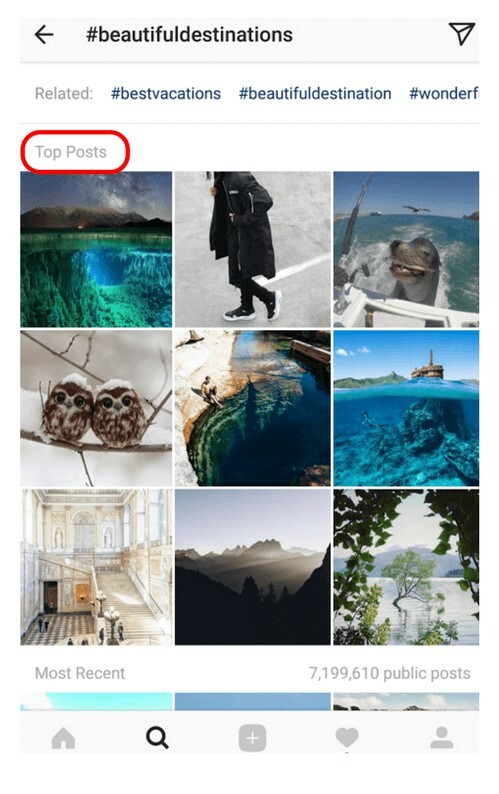 If you can be featured in a Top 9, every person who searches for that hashtag has a potential to see your photo which can lead to more likes and followers. The way Instagram chooses photos for this Top 9 is based on how many comments and likes a photo receives compared to other photos under that hashtag. The more your followers are engaged with your account by commenting on and liking your photos, the better your chances of getting into these Top 9’s. Before choosing to include a hashtag, check out your competition – go into a specific hashtag and see how many comments and likes the Top 9 have, and compare it to the engagement of your typical post. Great, Laura! I am ready to find some awesome hashtags, but I still have no clue where to start! To help you out I have put together a few travel categories with examples of relevant hashtags under those categories. Don’t be afraid to experiment when choosing hashtags and switch them up once in a while until you start seeing growth in your likes. 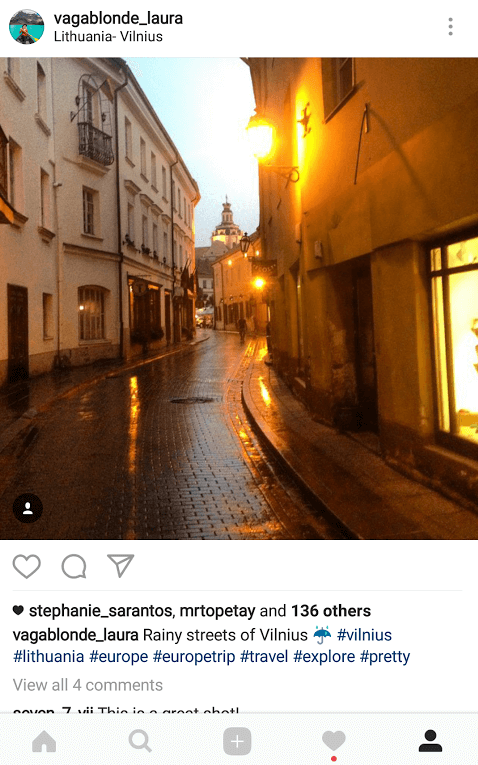 If you have tried all the methods mentioned above, but are still having a hard time figuring out which Instagram hashtags are good for your travel style, try using a hashtag generator app like Focalmark to lead you in the right direction. Focalmark is available for download on iPhones and Androids, but can also be used on a desktop if you like to schedule your posts through a third party app like Hootsuite, Later or Planoly. By selecting a few categories that represent your photo style, Focalmark will come up with 30 creative travel photography hashtags for you within seconds. The best part about this app is that it was designed to stay away from the typical generic hashtags like “follow4follow”, “like” or “cute” that won’t do much to grow your audience or engagement. 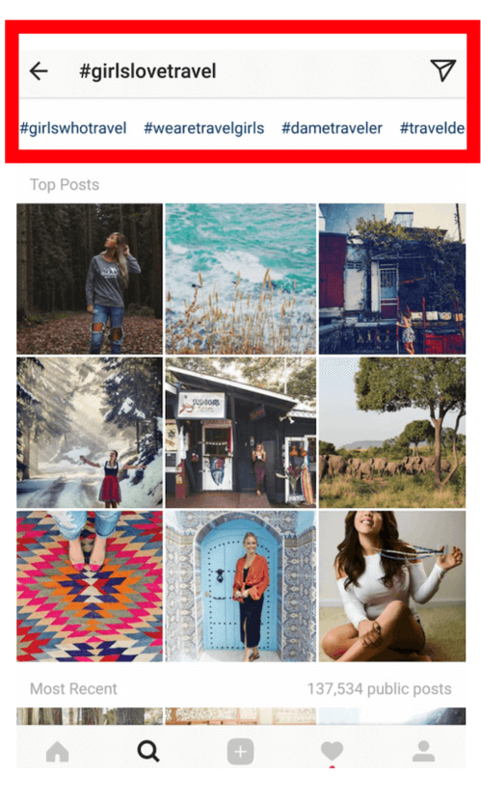 By selecting multiple categories that represent your photography style, this app can really narrow down into the best creative hashtags that will represent you and add more likes to your photos. 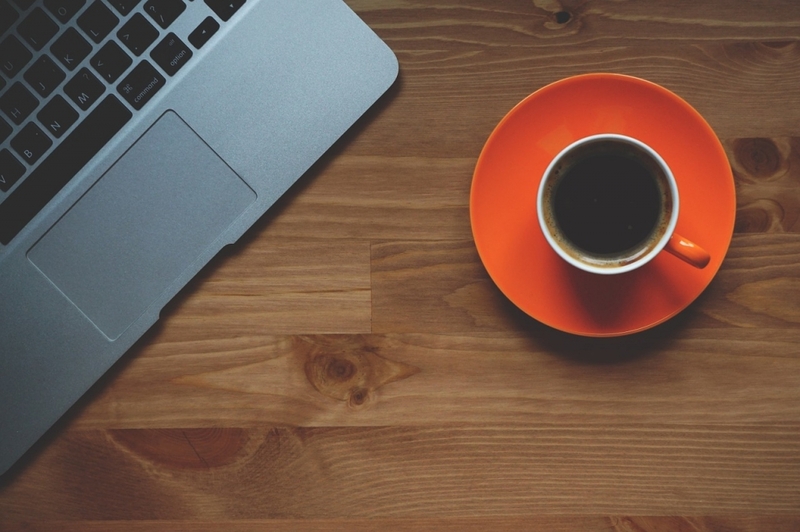 Are you still having trouble finding the right travel hashtags for you? Leave your IG handle name below and I will be happy to help you out more! Hi, Andy! Have you tried to use hashtags like #backpackerlife #backpackerstory #backpackersworld #backpacker_photography #solobackpacker? 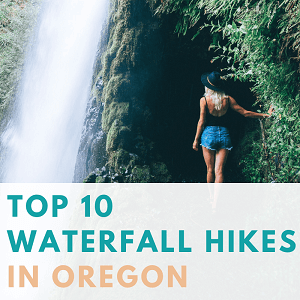 These are all smaller, more niched hashtags that are more focused on backpacking travel. Try to socialize with other people from these hashtags (like, comment) and you might get some more likes and comments back in return. Socializing on the right hashtags is a great way to get more likes, connect with like-minded accounts and grow on Instagram. Hope this helps! I got started on Instagram even later than you (October this year). Thanks for sharing all of your information! I’ve been experimenting with different hashtags, times of day, etc. I’ll have to try some of your suggestions and think through some new hashtags for me too. Your account (vagablond_laura) was one of the early ones that I found and started following, which then led me to your site! Thanks for taking the time to check out my account and offering some feedback Laura. I really appreciate it! Hi, Laura! Good job on the hashtags that you already use on your posts! I noticed that you use a lot of PNW hashtags and that has worked great for me in the past too. In my opinion, it’s better to use a smaller targeted hashtag like #pnwisbeautiful that has 118K posts and a small community built around it than like #travel that has 175 million posts under it about various subjects. The narrower and more targeted you can get, the better it is for starting off. Awesome photos! It looks like you mostly share fashion and makeup style photos so I would focus on finding hashtags in those niches. Whether it’s fashion, makeup or travel, I usually like to stick with hashtags that are not too big otherwise your photo gets lost in the hashtag feed between the other millions of photos. Hashtags like #makeupislife #makeupisart #fashionmodels #igmodels would be a few smaller hashtags to start with. Hope this helps! Glad the post was helpful! All the best wishes with growing your account : ) I would definitely try a few different hashtags and experiment with them until you find ones that work the best. I try to stay away from hashtags that are too big and overcrowded and I usually focus on smaller ones that fit my account style and audience. Good luck!